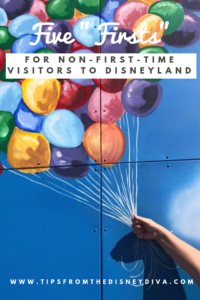 Are you a frequent visitor to Disneyland and looking for something new to try? That was us on our most recent trip. While we wait for the next BIG first (Galaxy’s Edge in Summer 2019!!! ), here are five ideas for “firsts” you can add to your vacation. 1. 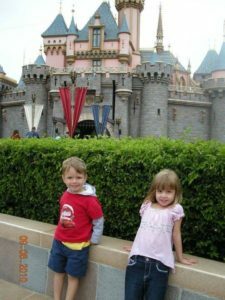 Start A New Tradition – We have a tradition going back to my daughter’s third trip and my son’s second trip to Disneyland. We go to the same spot at the front of Sleeping Beauty’s Castle and take a photo of them. It is a fun way to watch them grow. Even when we do multiple trips over a single year, we will take a photo like this at least a few times. Over the years, we added a few other photo spots where we will take a photo to add to the Castle tradition. 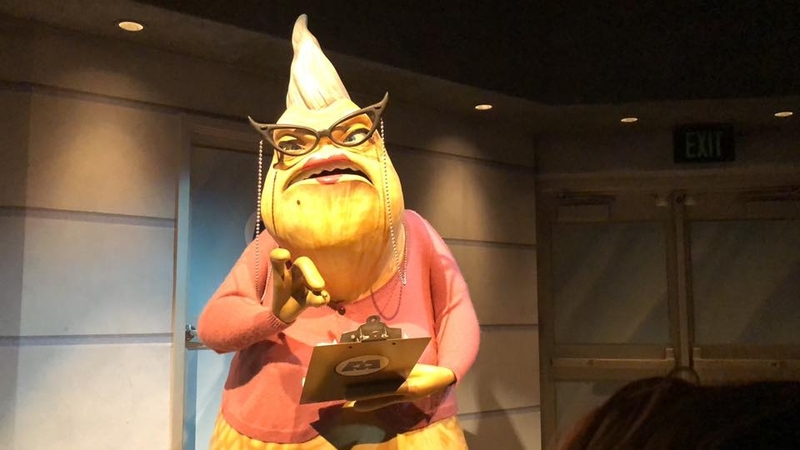 Get Roz to Call You Out – My favorite part of “Monster, Inc. Mike & Sulley to the Rescue!” is talking to Roz right before the vehicle unloading zone. She usually talks to my husband as he talks to her in his “Roz” voice as we pull around the corner. Usually she tells hims that she likes him and wants to do lunch. But on this last trip, I was wearing Minnie Mouse ears. She told me, “Young lady in the second row. Nice ears. Are they your real ears?” One time we had a camera up taking a video of her and she asked us to make sure we took her good side. Get coffee at Starbucks (technically this was purchased on the way to stand in front of the rope). Grabbed a FastPass to Radiator Springs Racers for later in the day. Ate a Mickey Bar. We bought it and consumed it on the way back to the hotel. 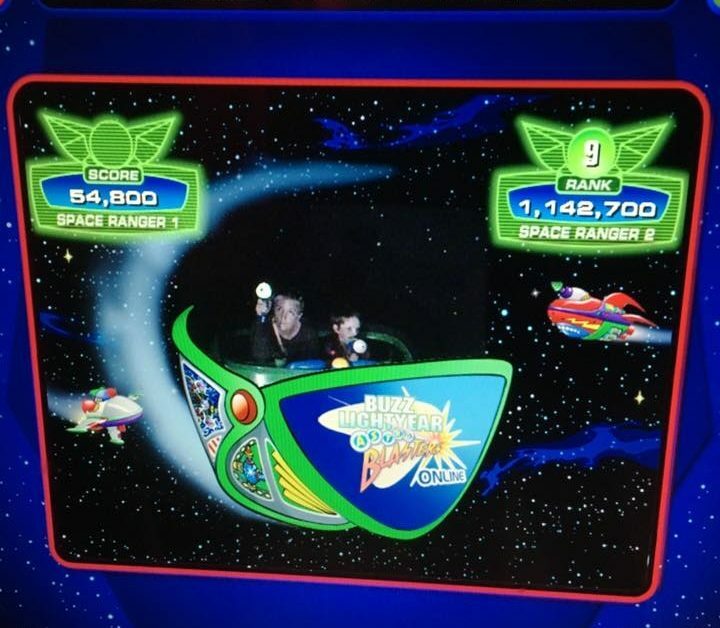 Get Ranked on Buzz Lightyear Astro Blasters – Have you ever been on the leader board? If not, have you seen that ranking number next to your name when you email the photo to yourself? Time to make this one of your firsts! Keep riding and riding until you meet this goal. If you are lucky, the ride will pause right in front of a Z-triangle so you can get maximum points! 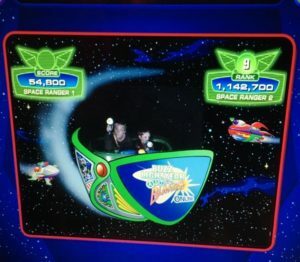 I will also admit that the first and only time I ever was THE TOP SPACE RANGER, as in NUMBER ONE, was when we rode Buzz at rope drop. So very few people were in line ahead of us and I made it up on the TV screens at the exit to the gift shop. The only other time I made it into the Top 10 was late in the day and was the first and only time I scored over 1 million points. 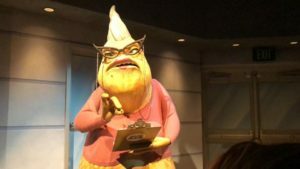 Ride with the Pilot on the Monorail – I have found this is easiest to do early in the morning from the Tomorrowland station. Most people are arriving on the Monorail so the line to request a ride with the pilot is short heading back to Downtown Disney, if there is a line at all. When you arrive at the platform, politely ask a Cast Member (CM) at the first gate if you can ride with the pilot. It is limited to four guests and it is not always available due which CMs is driving. The first time we did this, the CM that piloted for us was a former Jungle Cruise skipper – he made our trip on the Monorail full of one liners just like the Jungle Cruise! I hope your first time was as great as ours. Need more ideas? Have you tried a new seasonal offering, such as a treat, dining experience or tour? Have you just stopped to sit and people watch? 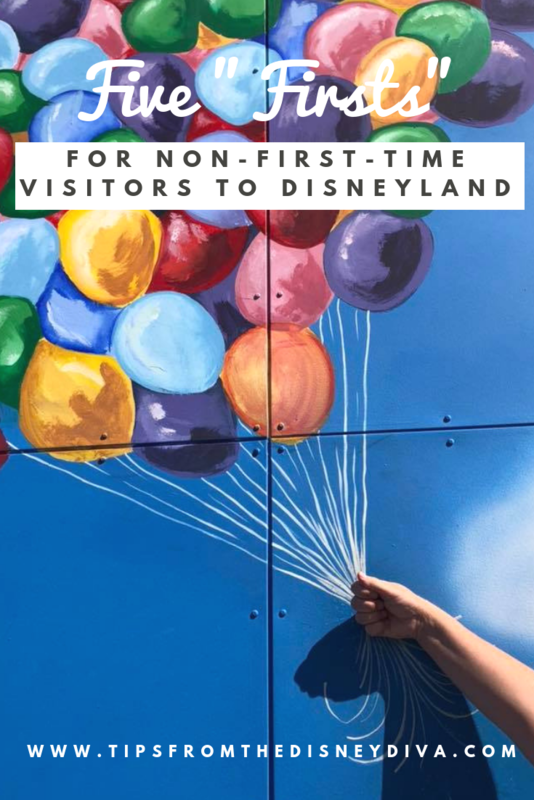 What are some other ‘firsts’ that you have done as a long-time visitor? I’d love to read about them on the comments so I can try them on my next trip! Looking for someone to help plan your trip of Firsts? Then contact Patricia at All for Dreams Travel! She can provide you with a FREE quote and make all the translations you need! 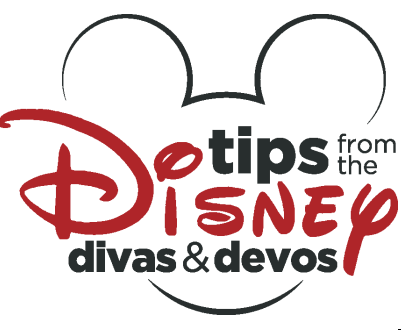 ***Disclaimer – We at Tips from the Disney Divas and Devos hope you enjoy reading our articles and encourage you to share any you feel may be of interest to someone else. We do ask, however, if you choose to share the photographs attached to our articles, you give credit to the photographer. 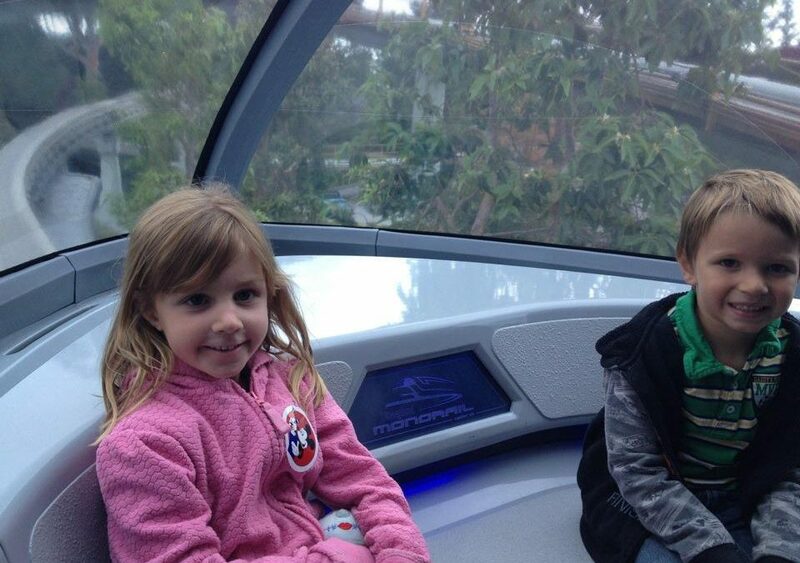 Thank you for your cooperation and sharing our love of Disney! Holiday Time at Disneyland is Magical! Hello! I'm Tinker Belle Diva. 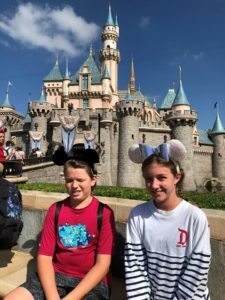 Just like you, I love all things Disney and have since my first trip to the Walt Disney World in 1980, followed quickly by my first trip to Disneyland. The love of Disney runs strong in my family and has been passed along to my daughter and son, who have been to Disneyland more times than I can count! Use Patricia at All for Dreams Travel, the OFFICIAL travel agent of Tips from the Disney Divas & Devos! Looking for a specific tip? It might be here!